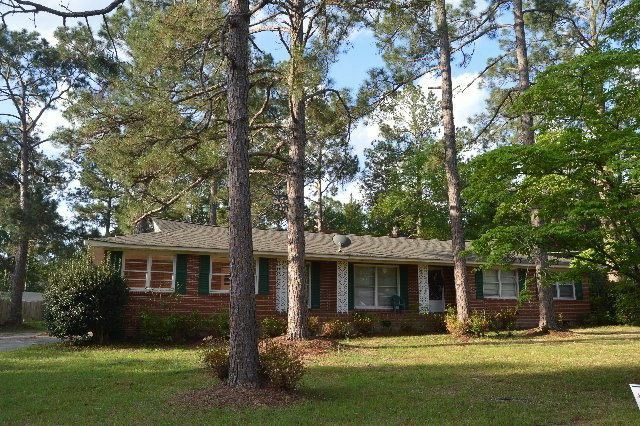 3 Bedroom, 2 Bath brick Ranch full of possibilities. Convenient to schools and shopping. Use your imagination to make this house your home. Wooden floors throughout most of the house, Fireplace in Living Room. Separate dining room. 2 Car Carport with storage room. Nice storage building or workshop. Partially fenced back yard. Call Tammie Gibbs @ 912-293-2899. Directions: From Hwy 280 turn right @ Bilo onto Slayton Street (Turns into Aimwell Rd), Then pass Sally Meadows on left and look for South Cheney. Turn left onto S. Cheney, then proceed to Stop sign (4 way stop) continue to address on right.